The Page 99 Test: Harriet F. Senie's "Memorials to Shattered Myths"
Harriet F. Senie's "Memorials to Shattered Myths"
Harriet F. Senie, author of Memorials to Shattered Myths: Vietnam to 9/11, is Director of the M.A. Program in Art History and Art Museum Studies at City College, City University of New York, and also teaches at the CUNY Graduate Center. 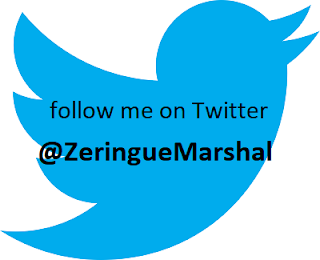 She is the author of several books and numerous articles on public art, and is co-founder of the international organization Public Art Dialogue and co-editor of its journal, Public Art Dialogue. 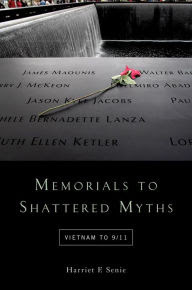 In some respects the Page 99 Test works for Memorials to Shattered Myths: Vietnam to 9/11. It falls in the chapter on the Columbine shootings, which together with the Vietnam War, the Oklahoma City bombing and the 9/11 attacks all shattered myths of national identity: Vietnam that the U.S. always won wars; Oklahoma City that the heartland was safe; Columbine that the American high school experience was an idyllic part of growing up; and 9/11 many, many assumptions. Memorials to these events conflated cemeteries with memorials, and heroes with victims. By employing strategies of diversion or denial (consciously or not) they effectively preclude any consideration of the implications of these events. This page observes that the primary scene of death at Columbine High School, the library, was eradicated and replaced by an atrium defined by an uplifting mural of trees and sky, while a new library was built on the other side of the building. This paralleled the deliberate omission of any reference to the two boys responsible for the shooting. Initially 15 crosses were erected, one for each of the victims including the two killers, but these two were immediately destroyed. Glen Weldon's "The Caped Crusade"
Iain Overton's "The Way of the Gun"
Alex J. Kay's "The Making of an SS Killer"
Nicholas Ostler's "Passwords to Paradise"
George Goodwin's "Benjamin Franklin in London"
Kurt Stenn's "Hair: A Human History"
Peter Frankopan's "The Silk Roads"
Omar G. Encarnación's "Out in the Periphery"
Charles Gardner Geyh's "Courting Peril"
Michael S.Evans's "Seeking Good Debate"